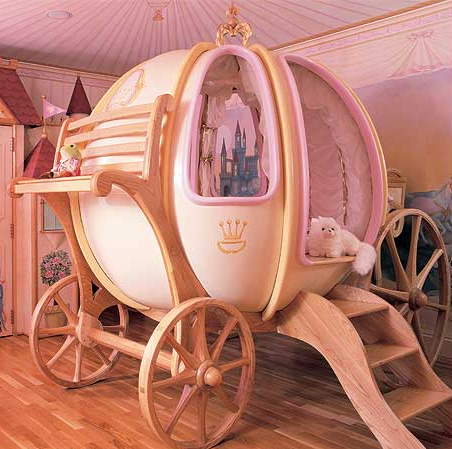 Your child will be whisked off to the ball in dreamland in this ridiculously lavish coach bed. At $47,000(! ), it seems like a pretty ridiculous purchase, but could be made by hand for only a few hundred if you’re the crafty sort. Or you can just purchase a castle bunk bed for a measly $4,295. The beds are available from PoshTots.com, but I’d really recommend you just build something yourself.